...and take advantage of Nature's bounty. We've all heard the adage about what to do when life hands you lemons. During a visit to my brother's home in Tucson before the New Year's celebration and holiday I was able to take advantage of what nature had to offer and grabbed some lemons, limes and oranges from the trees in the back yard. Something about 'fresh from the tree' lemons didn't seem fitting for lemonade, especially since we had a very strong cold front and some snow after I got home. That, and being a firm believer that you can't get too much of a good thing, turned me to one of my favorites - cheesecake. Two cheesecake variations are highlighted here, along with a simpler, but equally as delicious, shortbread alternative. Shortbread is a marvelous canvas, as you'll discover. Have fun, and let something besides lemonade be your lemonade. Start with Lamar's Basic Cheesecake. 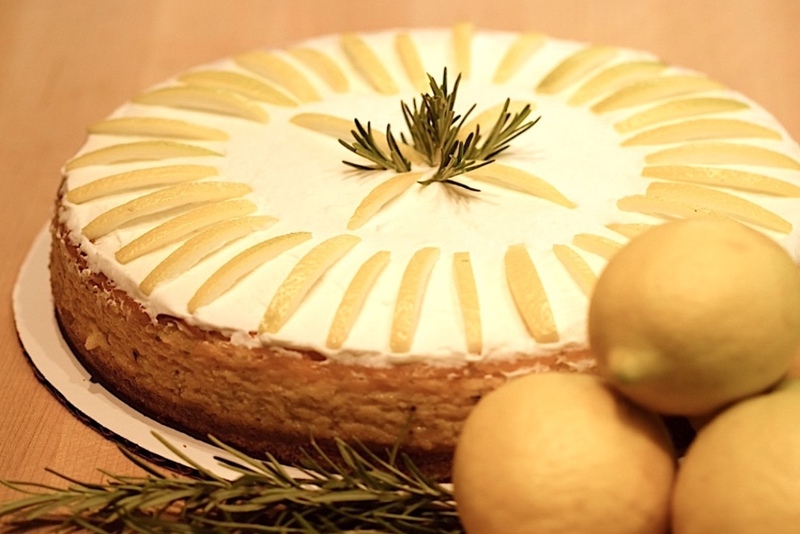 Make a couple of adjustments to the ingredients, increase the cooking time, and have fun with the garnish, and you'll have something to satisfy those for whom anything lemon is a favorite, as well as those who tend toward the savory and away from the sweet. You'll find all the ins and outs here. 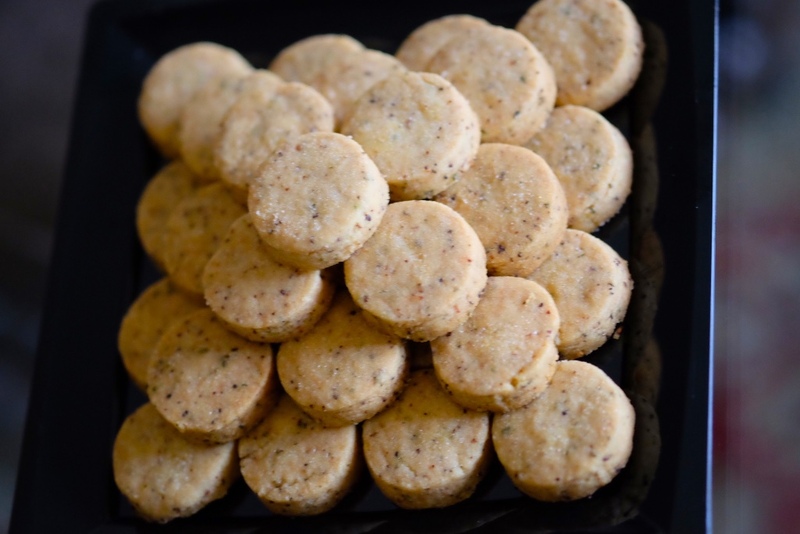 Like it's pictured neighbor to the left, this bite-sized treat starts with a basic recipe, this time for shortbread, to which the desired additions are made, much like the orange caraway shortbread featured last month. Again, it's a savory take on what is customarily a sweet confection. Go here, and have some fun with it. It's great for gift giving. 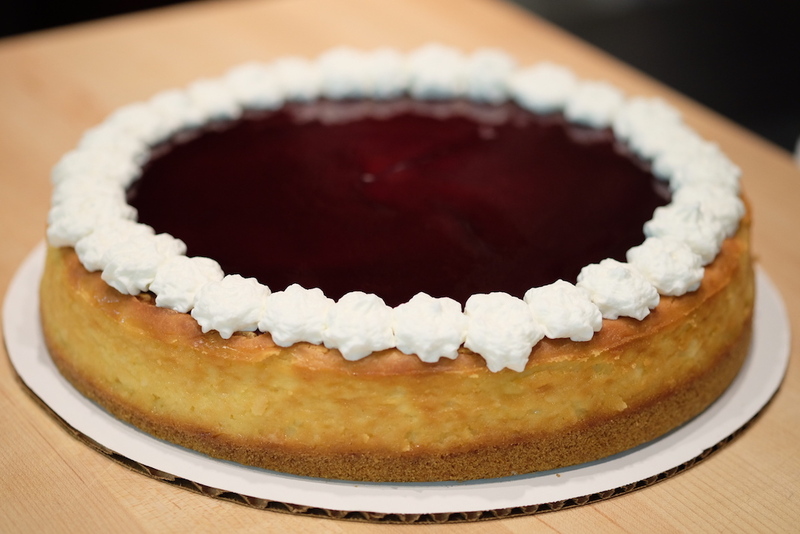 Ideal for those whose idea of lemonade is raspberry lemonade, Here, again, we start with Lamar's Basic Cheesecake and modify the ingredients to get the desired result. As pictured, the whipped cream border is designed more for the purpose of keeping the raspberry topping in bounds, though you could omit it and let the topping run 'artistically' over the sides - your choice. There are other options for garnishing this to make it centerpiece worthy. All you have to do is go here. Copyright © 2017 never 2 old to start cooking, All rights reserved.